A scarce set of maps of Continents of the World by Robert Walton have been consigned by an American collector for Toovey’s Select Sale of Paintings and Prints on Wednesday 5th December 2012. 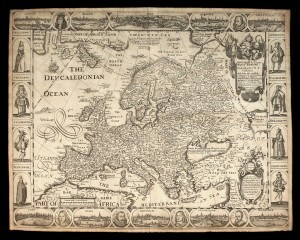 Robert Walton was one of only a handful of map publishers active in London in the mid-17th Century. 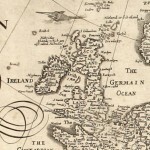 Not much has been written about this map maker, who produced sheet maps of the roads of England and Wales before John Ogilby. The son of a yeoman farmer, Walton was born in 1618 in Welford. 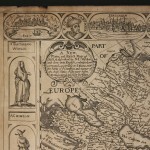 After an apprenticeship with John Costard of Lothburg, he established himself as a printer, map seller and publisher near Saint Paul’s, London. Walton died in 1688, having worked in the business until 1686. 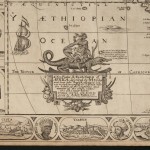 For his maps of the then-known Continents of the World, Walton took the best of the contemporary Dutch maps by Pieter van den Keere, Nicolaas Visscher, Johannes Blaeu and others and adapted them to the English market. 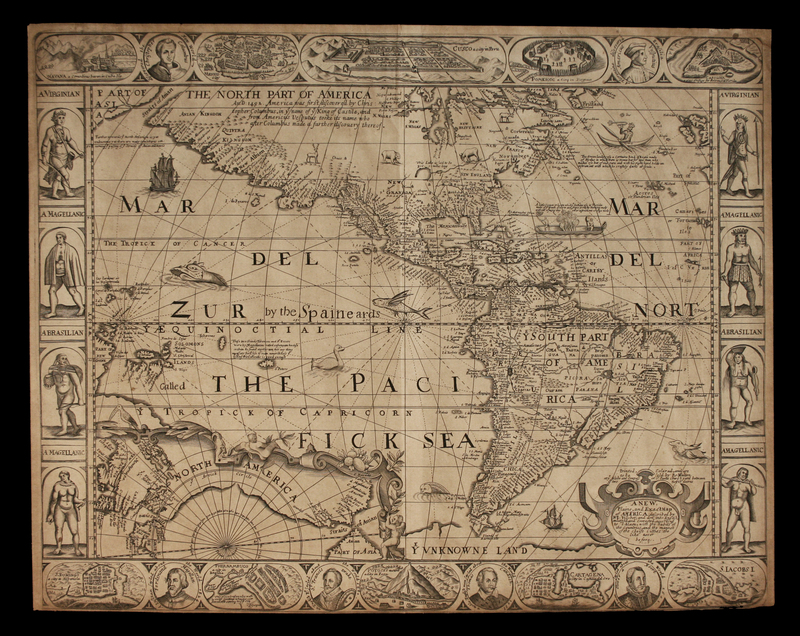 He re-engraved his European rivals’ images, changed the integral text to English and occasionally reinterpreted the geographic information. 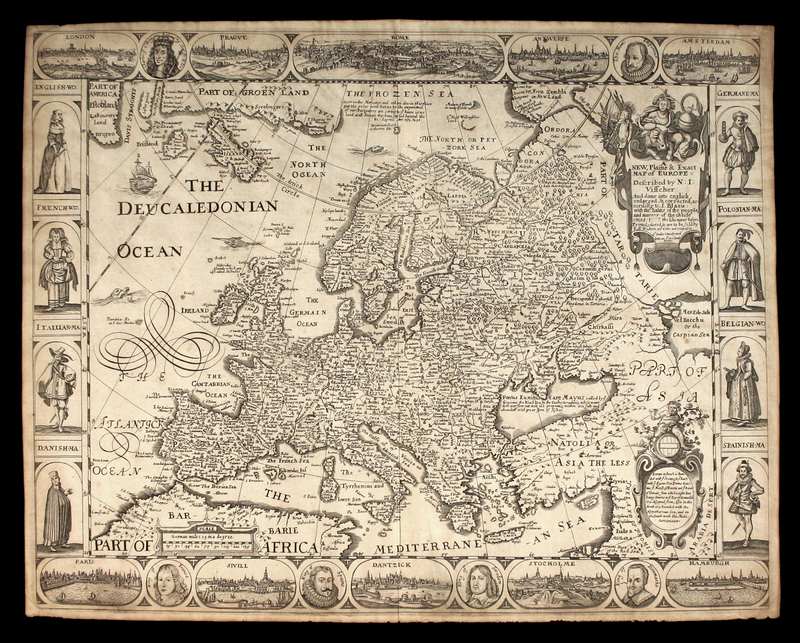 The unifying feature of Walton’s maps is his use of the fashionable ‘carte à figure’ style: the central panel contains the map proper, whilst around the edge is a wide panelled border, filled with related vignette portraits and views. 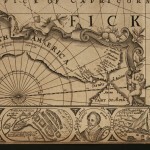 These vignettes, with images gathered from many sources, are sometimes informative and always charming. 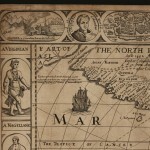 ‘A New, Plaine, and Exact map of America…’ depicts North and South America, contained within a panelled border of titled vignette views of cities, like Havana and Mexico City, portraits of explorers, such as Christopher Columbus and Francis Drake, and portraits of indigenous peoples. 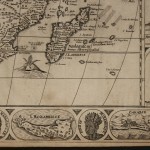 The map has other decorative qualities; ships, canoes and water creatures are depicted in the sea and animals fill the undiscovered land, representing some of the native fauna. 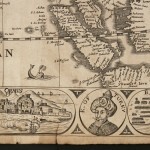 Walton’s map is unique for its diplomatic interpretation of the Island/Peninsula of California. 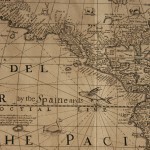 From the 16th to the 18th Century, California regularly appeared on maps as an island, despite much debate to the contrary. 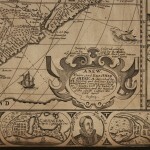 Today, it has become one of the most notable cartographic mistakes in history. 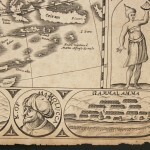 In ‘California as an Island’, R.V. 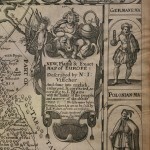 Tooley writes, “This is an extremely interesting and uncommon map being an intermediate state in the geographical conception of the West Coast, the only map I know to show this compromise solution in the controversy as to whether California was an island or a peninsula.” The other Continents are similarly interesting; Europe, for example, is the second state with King Charles II replacing Cromwell’s portrait in the panelled border, beside a view of London around the time of the Great Fire in 1666. 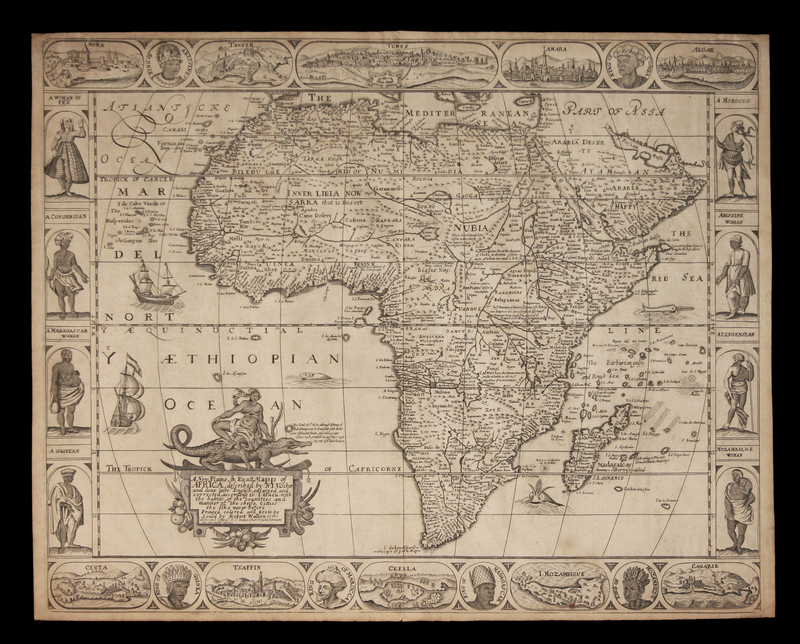 Single examples of Walton’s Continents maps do appear on the market infrequently. 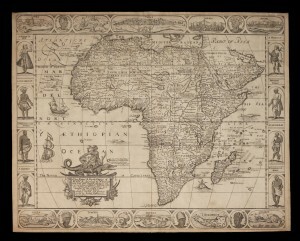 There is currently an example of the map of Africa for sale at $9500, described as “probably the rarest map of Africa produced in England”, and in the relatively recent past a copy of the map of the Americas was retailed in New York with an asking price of $24,000, described as “a rare map”. 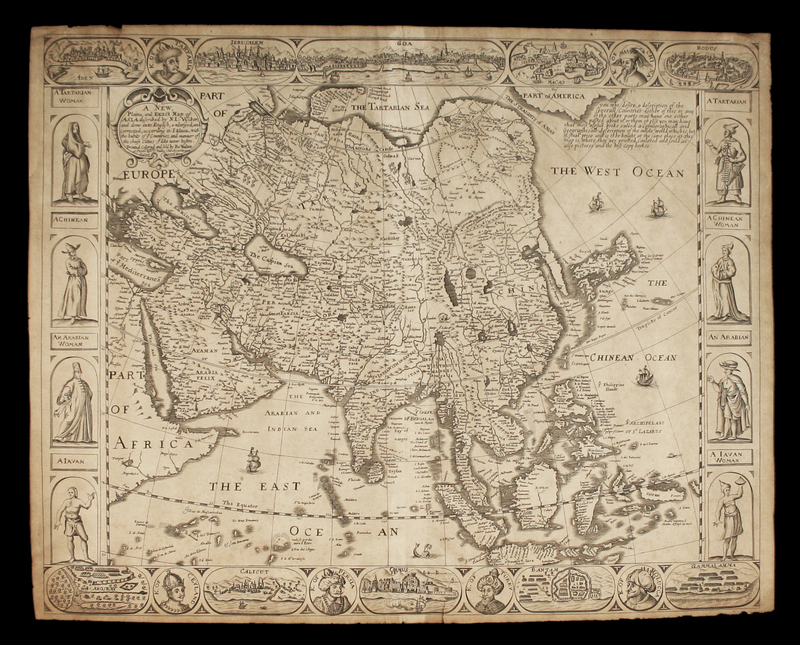 On the American West Coast, a copy of Walton’s Asia was sold for $6000 with the accompanying text: “Extremely rare, this being the first example we have ever seen offered for sale.” Examples of the map of Europe are listed as having sold at auction just twice in the last 15 years. 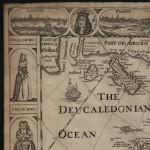 So, with patience, a collector could expect to come across single maps and, over a number of years or even decades, could perhaps assemble a complete set. In December, Toovey’s are offering the rare opportunity to buy the four in one lot. 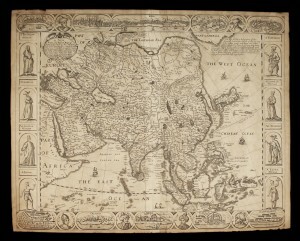 The last time that we have been able to trace when all four maps were offered for sale at the same time was in 1988, when a set in poor condition was sold through the trade in America. This current set (Lot 85) carries a pre-sale estimate of £12,000-18,000 and will be sold at Toovey’s Spring Gardens auction house on Wednesday morning 5th December 2012. If you require more information or detailed condition reports, please contact us, and don’t hesitate – it may well be more than 24 years before the next set comes onto the market!